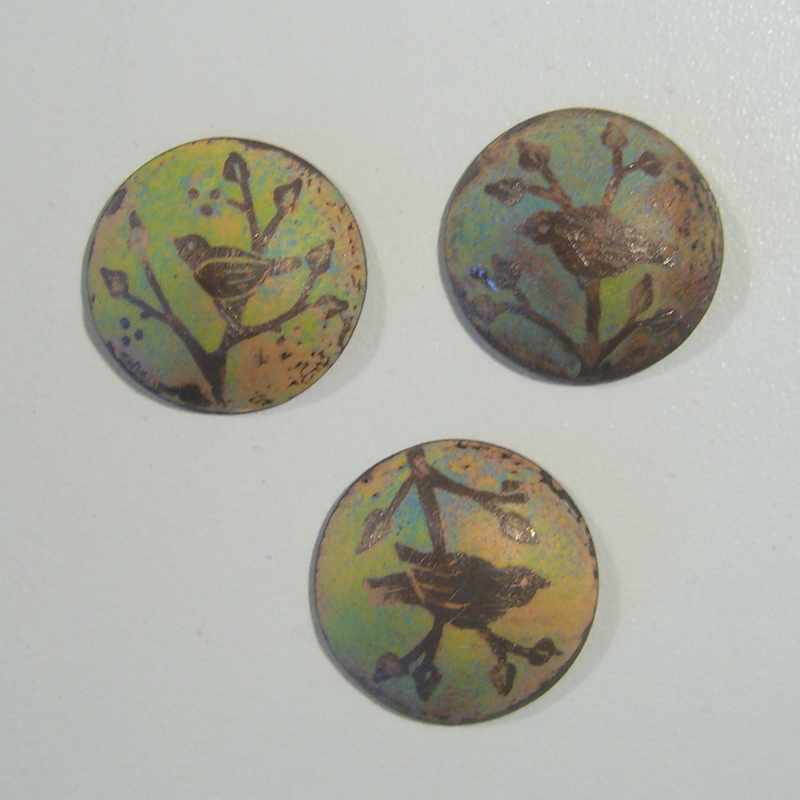 Another bit of progress over the weekend: enameled copper discs. These are three of the hand-drawn discs I showed several weeks ago, which were etched and then sat around oxidizing. It really didn't take too long to pickle them to remove the oxide, dust a coating of enamel over them, and then quickly torch fire. The long part was the removal of the top layer of rock-hard glass with a diamond hand pad. It's a laborious project, done under running water, to remove just enough glass to reveal the raised copper design, but without removing desired glass around the edges. In the upper left corner, you can see a leaf that appears pink, indicating that the copper is still protected beneath a very thin layer of glass. More sanding required. I have a couple more to do before I decide which one to set into the silver mounting I made, from this drawing. Very cool can't wait to see the finished piece.